Our chimp-brains may be wired for intuition and action but a causal model helps us listen to the language of change: variables. The differences we seek – results, outcomes, objectives, goals – are all variables in a causal model. We believe than a change in one variable will lead to change in another. A useful analogy is that cause and effect variables are ‘listening’ to one another. Not in the literal sense. But we can imagine how a signal, a shift in one variable might be detected, then reflected in another. The listening analogy suggests a flow of information. One variable gets information from another and is changed, to some degree, over time. The shape of that change follows the relationship between these variables, if there is one. Is revenue only listening to website traffic? Is revenue also listening to why people place orders? Is revenue also listening to the value of those orders? Is revenue also listening to repeat orders which don’t come from website traffic? This is a way of filling in the blanks, seeking alternatives, considering ‘counterfactual’ worlds. Crafting a model which is closer to reality, updated with evidence and more useful for making and validating decisions. A variable which is claimed to have influence may be very quiet. There may be variables with more influence which need to be listened to. A variable might be too loud and we want to reduce its dominance. We might try and clean up a variable to hear a clearer signal above the noise. We might experiment with introducing new variables into the mix. If I listen to less dramatic news I might reduce my belief about bad things happening. If I listen to more diverse opinions I might have a less polarised worldview. If I listen to more reliable evidence I might reduce uncertainty for making decisions. If I listen less to my comfort-eating cravings I’ll consume fewer calories. 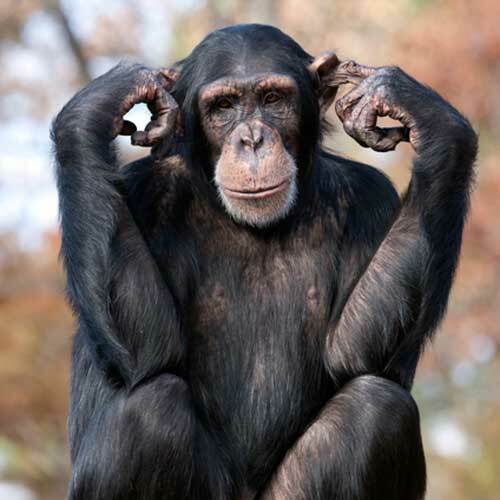 Our chimp-brain pays attention and consumes information without us really noticing. What is it listening to? Sensational news, marketing hype, scientific studies, toxic echo chambers? It can be hard to hear the truth about how the world really works but to make the best decisions we have to make an effort to listen.